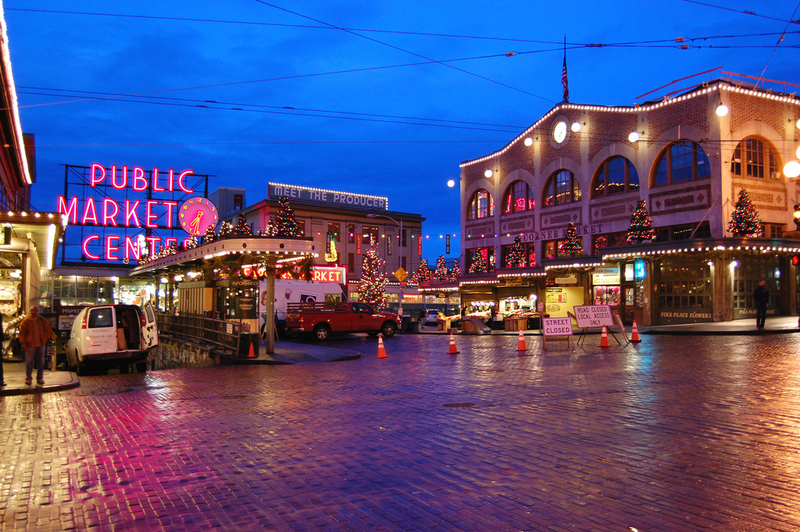 Join your fellow commercial district revitalization professionals in Seattle for Main Street Now on March 25-27. We will explore Main Street programs from the inside out, centering on the hard-work of the staff and board, transformative external partnerships, and the myriad of ways in which communities come together on Main Streets. With beautiful Seattle and its surrounding communities as our living laboratory, Main Street Now will leave you feeling inspired and equipped with solutions to help you in your work. We encourage you to take advantage of the early-bird, member rates, and a new special rate for civic leaders. Learn the Main Street basics from our Field Services team at the popular Main Street 101. Interested in a mobile tour? Come away on a Washington State ferry to beautiful Bainbridge Island for "Nidoto Nai Yoni: Let It Not Happen Again." Explore an important part of American history and the memorial that honors those who suffered a terrible injustice during World War ll and neighbors who stood beside them and welcomed them back. Participants will hear from those who lived through the Japanese deportation and have the chance to walk in their steps. 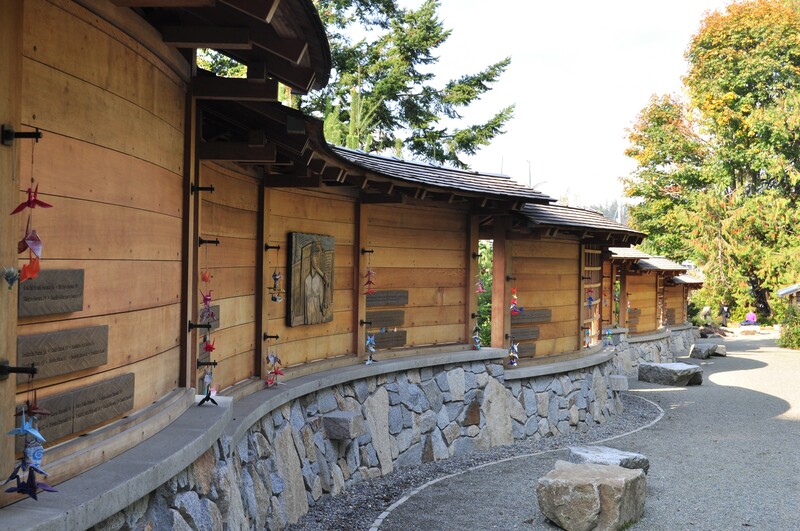 Visit the Japanese American Exclusion Memorial, a national historic site located at the place where the families boarded the ferry 77 years ago. Before leaving the island you’ll enjoy lunch at a downtown legacy business started, and still owned by, a Japanese American family. Sunday, March 24th, 8:15 a.m.–4:30 p.m. Discuss the most pressing issues facing the organizational operations of revitalization programs at the Board Member and Main Street Director Round Table sessions -- two conference favorites! After a morning of learning, head over to Benaroya Hall, the home of the Seattle Symphony, for the Opening Plenary and Reception. Please note: The Opening Plenary is scheduled at 2:30-4:00 p.m. and the Opening Reception will follow at 4:00–5:15 p.m.
Join Patrice Frey for a conversation with Deborah and James Fallows, the authors of Our Towns: A 100,000-Mile Journey into the Heart of America. For more than four years, Deborah and James Fallows zig-zagged the country in a single-engine airplane, spending weeks at a time in locations from Eastport, Maine to Ajo, Arizona. As witnesses to the impressive ways in which communities – from downtowns to schools, governments, and entrepreneurs – are rewriting the rules to success, the Fallowses documented their journey in Our Towns: A 100,000-Mile Journey into the Heart of America. Join the authors for a discussion moderated by Patrice Frey, relating their experiences and lessons learned, and highlighting examples of strong leadership, partnership, and engagement that are a testament to the promising future of Main Street. Discussion to be followed by Q&A and a book signing. Generously supported by AARP. You won't want to miss a very special Big Bash in the heart of downtown Seattle. Join us for delicious food, great local beverages, fun music and a spectacular venue! The Sanctuary, our destination for the evening, is the nation’s oldest Beaux Arts-style building and the oldest church in downtown Seattle. This year’s event is generously supported by OneMain Financial. Start planning your conference experience today. Check out the 2019 Mobile Event Guide for a detailed conference schedule including 100+ education sessions, special events, and more. Access the Mobile Event Guide online from any web browser at eventmobi.com/mainstreetnow19 or search “MSN 2019” in the App Store or Google Play to download the app. Please note: We’ll be providing a condensed printed program onsite this year that will be easier to navigate. It will contain a full schedule and basic info on all education sessions. The best place to view full session descriptions, speaker details, and last-minute updates will be on the Mobile Event Guide. A printable PDF schedule with full details will also be posted online before the Conference. Introducing the Friends of Main Street program. Gain valuable benefits, including one discounted registration to the Main Street Now Conference. New members will save $150 on conference registration! To add Mobile Workshops or the Big Bash to an existing registration, click here. 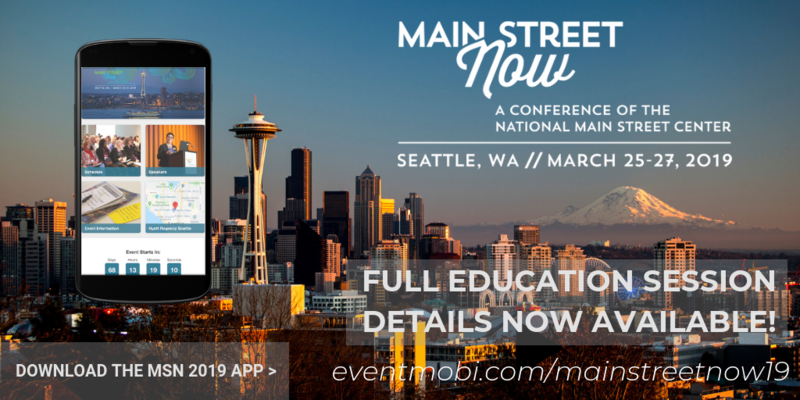 We encourage you to email a recent article, written by NMSC Chairman Ed McMahon, to your civic leaders and invite them to the 2019 Main Street Now Conference. Local elected officials and senior local government staff from Main Street America communities are eligible for a special registration rate of just $125! They will also receive an exclusive invitation to the Civic Leaders Forum, which Ed McMahon is leading alongside King County Executive Dow Constantine. The Exhibit Hall is filling up! To view a list of current exhibitors, click here.